To say there’s been recent buzz around multicookers is putting it mildly. The concept of instant meals in one pot surely is popular, and there are many brands on the market that offer this right now. There’s a frenzy around multicookers of all kinds, which has overtaken Facebook, inspired countless cookbooks, and more or less left the stalwart slow cooker by the wayside. This craze might have already overtaken your Facebook feed. 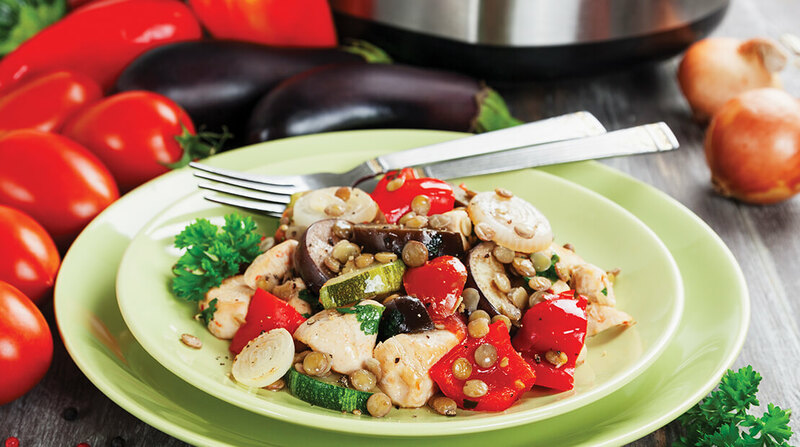 It might have promised you a one-pot solution to weight loss and fitness goals. It might be sitting on your counter, intimidating you with its shiny surface and dozen buttons. After much research and a casual poll of 300,000 (seriously, 300,000) members of a community group called Instant Pot Recipes Only, we’ve decided three things. One, the multifunction countertop cookers have not rendered the slow cooker obsolete. Two, it probably isn’t a magical weight loss tool. And three, it can indeed produce some excellent meals. It has a bit more versatility than the slow cooker, but also requires a bit more effort to master. With help from this zealous Facebook community of home cooks and expertise from the Studio H kitchen at Hormel Foods, we have come up with the key differentiating factors of slow cookers versus multicookers, what each is best for and cautionary tips to keep you safe while cooking with steam. How Do Countertop Cookers Work? Slow, even heating traps the moisture of the food product, so usually there’s no need to add water. The appliance is temperature controlled, and you’re not supposed to take the lid off during cooking, so little supervision is required. 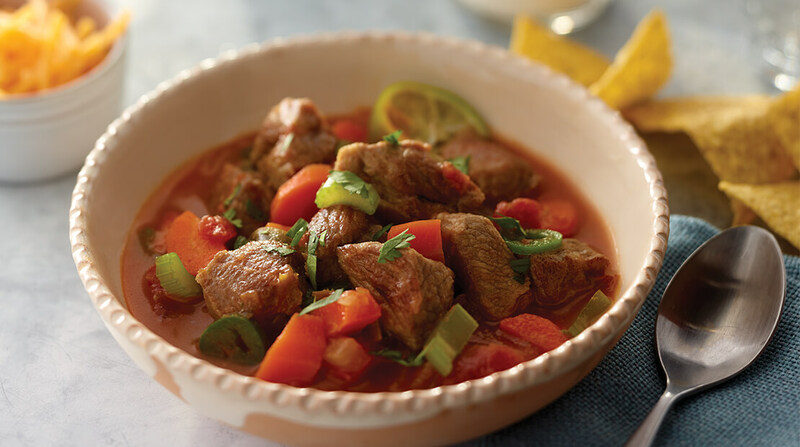 It is typical that meals in a slow cooker take approximately four hours on high heat or six to eight hours at a lower temperature. Deemed the ultimate “set it and forget it” cooking appliance. Preferred for making party food because it can be kept warm for a long period of time. There are fewer functions (though certain late models have a sear function). Though they don’t need to be tended to, it might not be the best idea to leave them on all day when no one is home. Meal prep still requires planning. For instance, if you forget to put the ingredients in the pot before you leave the house or before you go to sleep, there’s no fast fix to the meal. Extremely versatile, performing all the cooking steps that used to require a stovetop and oven. 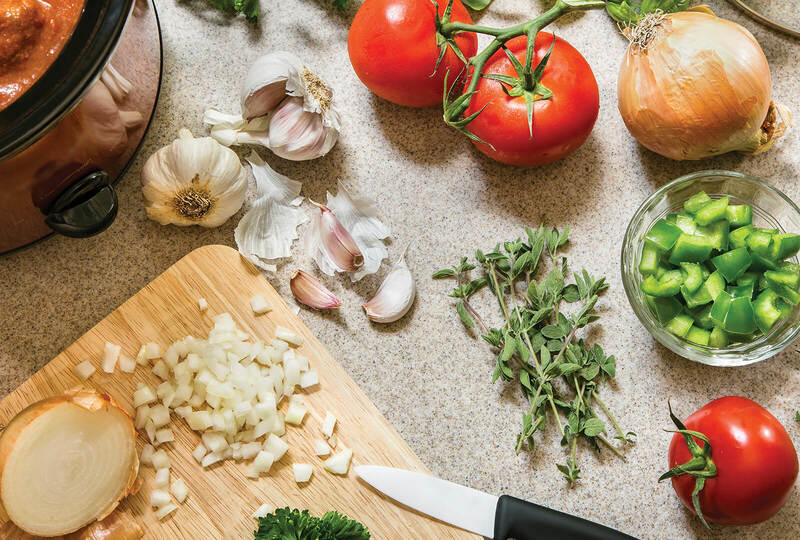 It can accomplish formerly hands on tasks, like sautéing, with the push of a button. 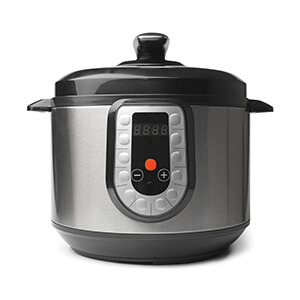 The pressure setting cooks food much faster than any conventional cooking method. There is a learning curve to mastering the multifunction cooker; many believe they need a science lesson before they can cook with it. It has a heating element only at the bottom instead of around the perimeter like slow cookers do. You can’t see or taste the food during the cooking process. While it can sear, sauté and steam, it cannot replace the flavor gained from a grill. While devotees extoll the simplicity of countertop cookers, these appliances aren’t accident-proof. They all heat their contents beyond the boiling point, and whether it’s the heated surface of a slow cooker or the burst of steam from a multicooker, you should always be extremely careful when checking up on your finished meal. 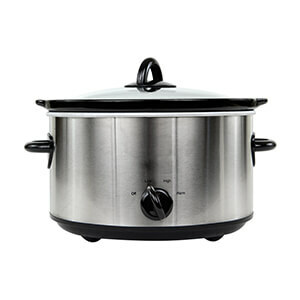 Also, research manufacturer recalls and user reviews before buying any countertop cooker. If you’re not intimidated by the latest appliances and features, you might be excited to know that some of the newer models of countertop cookers come with Bluetooth and/or Wi-Fi connectivity, and can be remotely controlled using apps. Place pork and next six ingredients in multicooker. Dissolve granulated chicken bouillon in water. Add water mixture to cooker. Close and lock lid. Select the meat/stew setting. Cook until warm setting appears. Let stand 10 additional minutes. Release steam according to cooker directions. Remove lid and stir in tortilla chips and cilantro. Squeeze fresh lime juice over and top with cheese, if desired. 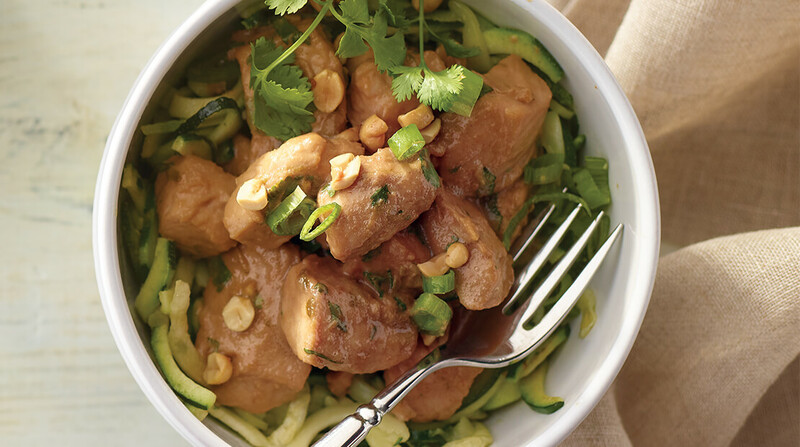 In slow cooker, whisk together garlic, ginger, peanut butter and soy sauce. Add turkey breast tenderloin pieces. Cover and cook on HIGH 1:45 hours or LOW 2:25 hours. Always cook turkey to well-done, 165°F as measured by a meat thermometer. Stir in cilantro and lime rind. Serve over zucchini noodles. Garnish with peanuts and green onion, if desired. This article was featured in Issue VI of Inside Hormel Foods magazine. Click here to explore these unique collections of thought-provoking and heartwarming stories, recipes and features on our employees and the different areas of our company, all packaged up in a beautifully designed digital viewer for you.